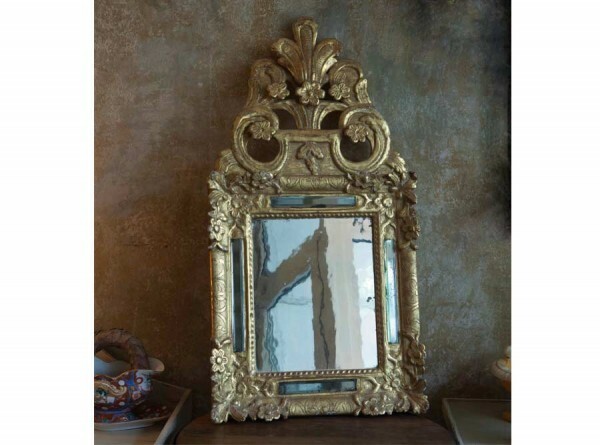 Product information "Stunning Small Gold Mirror from Italy"
This little beauty was found by my antique dealer whilst holidaying in Italy and visiting an old fortress in the area. He happened upon a quaint little antique shop, tucked away inside a tiny alcove and packed to the brim with ancient treasures. As you can imagine, he spent quite some time in there and returned on several days and on the last day he noticed this mirror. 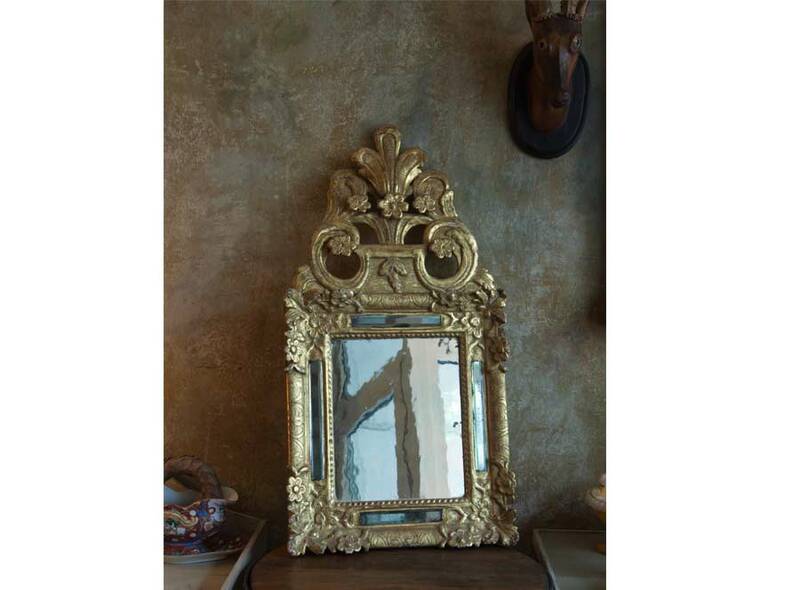 Intricate floral gilding with a cartouche of five flared palmettes. It was hidden away from all the others and he asked about it. "Ah, said the bearded fellow, that one is my favourite and not for sale." Well, that's exactly the kind of words my dealer needs to hear in order to instantly fall in love with an antique even more. So what would it take? "Priceless", came the reply. But there was no giving up. My dealer left and returned with a couple of bottles of red wine. "Let's sit in the sunshine and have a chat about it, " he suggested and with a cheeky grin, that is what they did. Till the next morning. Now, don't ask me what they talked about or how it all came about but my dealer always says, the best deals are made drinking a good glass of red. And all I know is, he came back from that trip with a van laden with some of the most beautiful Italian antiques I have ever seen. And he still goes back to see his Italian dealer every year. With a few bottles of red. Related links to "Stunning Small Gold Mirror from Italy"
Customer evaluation for "Stunning Small Gold Mirror from Italy"